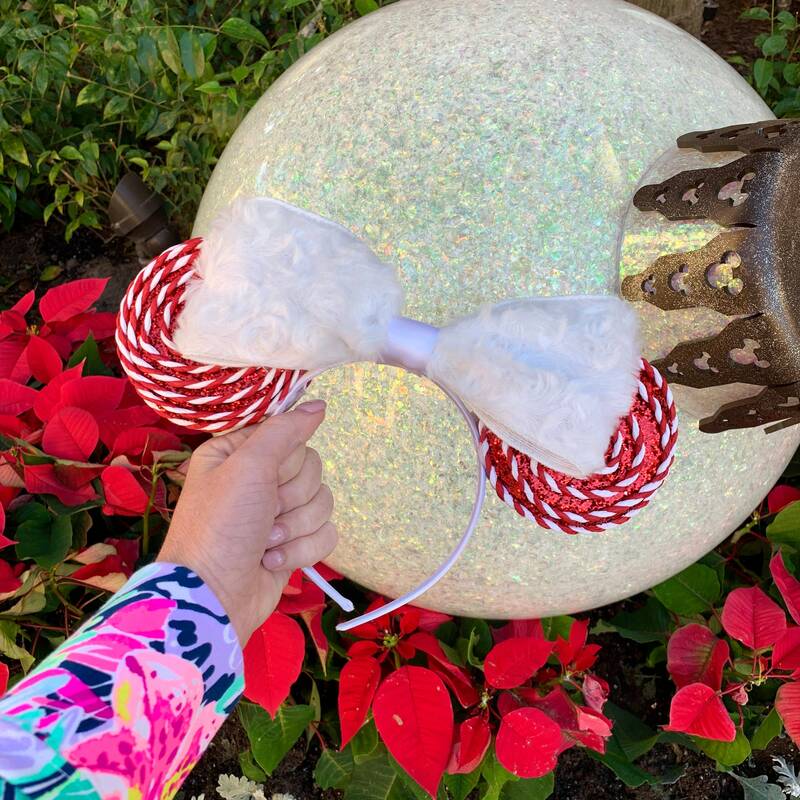 Be festive at the parks with these adorable Peppermint Park Ears! Ears are made of decorated styrofoam to make them light weight and accented with a furry bow. Small variances may occur between each pair of ears.